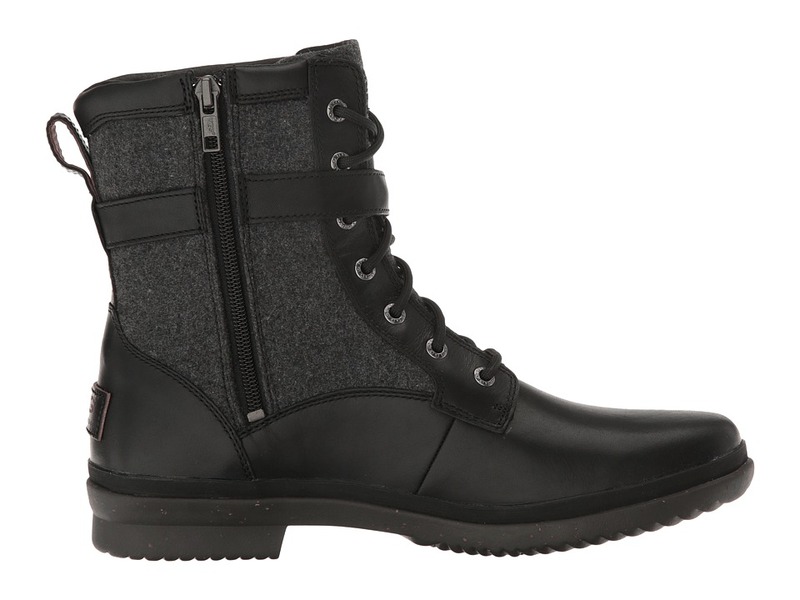 Keep it real cozy all winter long with the attractive Kesey boot from UGG. 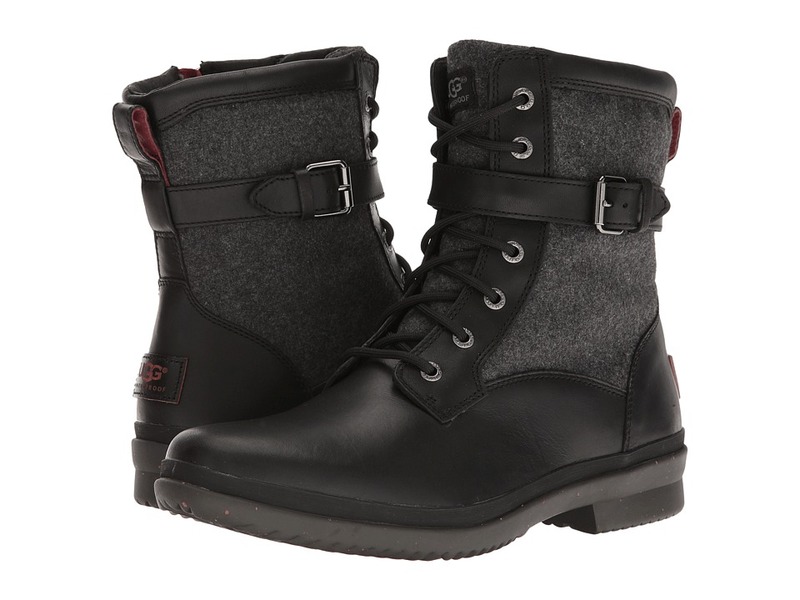 ; Waterproof leather upper features a textile shaft and wraparound buckle detail for added appeal. 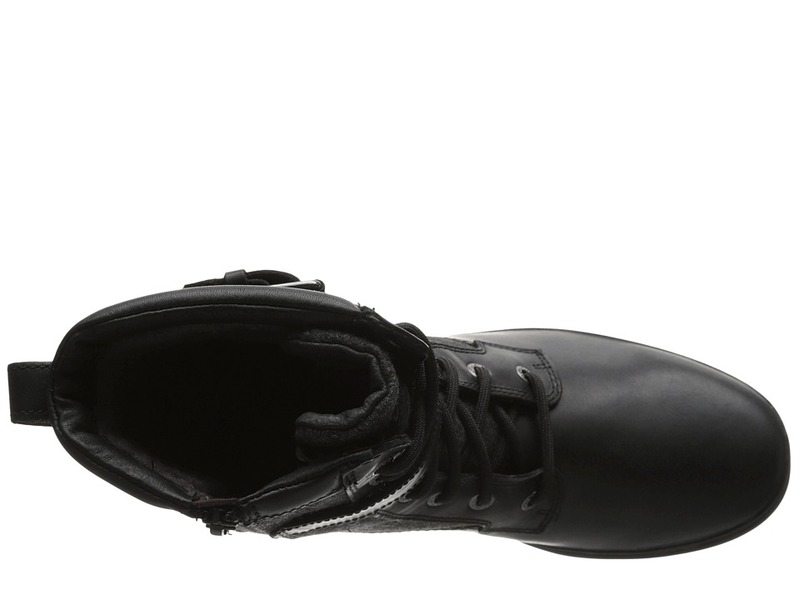 ; Lace-up, side zipper, and adjustable buckle allow a comfortable fit. ; Shaft is lined with 7mm curly UGGpure for additional cushioned comfort. 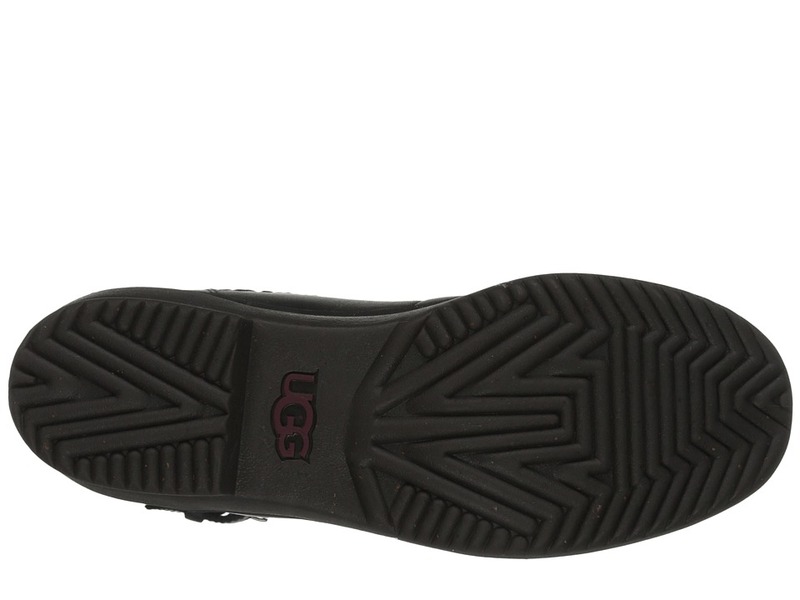 ; Generously cushioned footbed for all-day wear. ; Durable rubber infused with cork for a pleasurable walking experience. ; Imported.